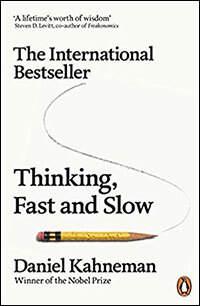 Have you heard of the classic book, Thinking, Fast and Slow, by Nobel Prize winner Daniel Kahneman? It's a challenging book, but highly recommended if you're interested in learning why we behave the way we behave. System 1 is fast. It's automatic, intuitive, and does the fast thinking. System 2, on the other hand, is slow. It's more deliberative, more logical, and does the slow thinking. System 1 will make you run at the sight of a predator in a jungle. However, it will limit you in an environment that demands analytical thinking and sound reasoning, which is where System 2 excels. So, both systems find their merits in different situations. But regardless of thinking fast or slow, the book squarely shows how human thinking is flawed most of the time. Since February 2014, research analyst Rahul Shah has beaten the Sensex 2.3x!!! And most of them within a 2-year time period. Consider the following: "Will Mindik be a good leader? She is intelligent and strong..." An answer quickly came to your mind, and it was yes. You picked the best answer based on the very limited information available, but you jumped the gun. What if the next two adjectives were corrupt and cruel? Take note of what you did not do as you briefly thought of Mindik as a leader. You did not start by asking, "What would I need to know before I formed an opinion about the quality of someone's leadership?" Because of WYSIATI, System 1 often quickly creates a coherent and believable story based on limited evidence. These impressions and intuitions are then endorsed by System 2 and turn into deep-rooted values and beliefs. The price that most likely came to your mind, US$ 0.10, is a result of the intuitive and automatic System 1. And it's wrong. Take a second and do the math now. Do you see your mistake? The correct answer is US$ 0.05. What happened was that your impulsive System 1 took control and automatically answered by relying on intuition. The issue the bat-and-ball problem exposes is our innate mental laziness. When we use our brain, we tend to use the minimum amount of energy possible for each task. This is known as the law of least effort. What stood out for me was that much of what Kahneman discusses applies to the investing arena. We see this mental laziness guiding investing decisions all the time. What adds to the trouble is we use it to make sense of an increasingly confusing, noise-filled, uncertain economic reality. Even when the stock-picking is done right, many factors constantly influence our decisions. Political beliefs, the influx of news, statistics, price movements, etc. The list goes on. A few years ago, a study was done to test the accuracy of the predictions of 284 experts who made their living commenting or offering advice on political and economic trends. The study showed the average expert was only slightly better than a dart-throwing monkey. In fact, a simple strategy of 'predicting no change always' would have done better than their forecasts. It's crazy. So much for 'expertise'. Even experts think, analyse, and make predictions in the same flawed human way. Now, I am not saying stock analysis is futile... Many do it successfully. But what if I tell you there's a way to do away with flawed analysis and predictions altogether? A way that takes human thinking out of the picture, is easier, and profitable at the same time? System-based investing departs from the widely-used but flawed approach to stock picking, and keeps all the fuzzy thinking at bay. It does not rely on the human mind with all its biases, but instead upon on a well-tested system. You buy stocks when the system asks you to buy. Sell when the system asks you to sell. Everything else is pure noise. Close all the doors, stick with the system, and let the magic happen. Now, if it is that easy, you wonder, why isn't everyone using it? Because finding the right system takes work. But once you find a good system, and do as the system says, the results can be extraordinary. Let me show you through the example of one of the system-based investing services - Rahul Shah's Microcap Millionaires. and a rule (based on the broader market valuations) that tells you when to move between stocks and bonds. While the BSE Sensex yielded 65.6% over this 4-year period, Microcap Millionaires turned in an extraordinary 181.8%. On a compounded annual basis, while the Sensex has achieved a CAGR of 13.4%, Microcap Millionaires has brought in 29.6%. That's a point-to-point outperformance of 116.1% over the benchmark, and a 2.2x CAGR outperformance of 16.1% over index results. And it wasn't a person that did it - a person is not that reliable. So, yes, while a system-based approach flies in the face of the infamous traditional approach, it revs up the gains better than most any other investing strategy. ...Not let any judgements cloud your decisions. Daniel Kahneman would not be a bit surprised if this approach beats the benchmark index by a wide margin in the long run. PS: Now there is a way to try Equitymaster's market-crushing system-based service, Microcap Millionaires, for a fraction of its normal price. Try it here. 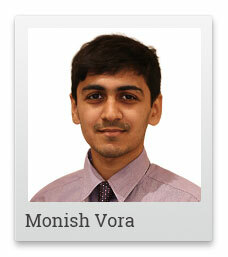 Monish Vora is a keen student of the markets and shares his observations through his clear and concise commentary. Equitymaster requests your view! Post a comment on "How to Make Money Without Thinking: Lessons from a Nobel Prize Winner". Click here!